Business does not wish to live according to unwritten rules. Summary of XV International conference "Multimodal transport of dangerous goods"
During April 4-5th, 2019, XV International conference was held in Peterhof, devoted to transport of dangerous goods by various types of transport. The conference organizer was IDGCA, its operator – International Staff Training Center (ISTC). Goals and tasks, which the conference organizer initiated in Peterhof, were not traditional. Main task was not only bring to audience understanding of requirements of international conventions and agreements concerning transport of dangerous goods, but also to generalize positive and negative practice of application on Russian territory of international conventions and agreements concerning transport of dangerous goods; to analyze reasons of artificially created administrative barriers, cases of unfair competition and abuse of rights. According to opinion of organizers, participants and guests, the conference attained its goals, experts in their reports made review of international rules concerning transport of dangerous goods, estimated forthcoming changes in rules and their harmonization. Representatives of scientific organizations brought audience’s attention to special conditions for transport of goods of the first and seventh classes of hazard, and to requirements for transport means and transport equipment. Interesting reports were made on theme of preparation for transport of cryogenic liquids, including helium in tank containers. The theme, concerning transshipment of liquefied natural gases on maritime terminals, was highlighted by representatives of the factory, producing liquefied gas, located in the town of Vysotsk, Leningrad region. Legislation requirements towards such complex and hazardous facilities revealed the representative of expert organization. Chief of Anticorruption Committee at Moscow Trade and Industry Chamber revealed to the conference participants the activities of his organization and confirmed his readiness to help business, when cases of rights violation arise after actions of unfair public officers. Не also presented to the audience on tasks, which were assigned by President of Russian Federation, Vladimir Putin, regarding prevention of corrupt practices, and expressed his readiness to carry out anticorruption expertise of documents, when elements of corruption appear. Rather emotionally, with definite grade of resentment made his speech representative of Far East region. In his report he informed the audience about cases of power usurpations, admitted in Far East region in the sphere of transport of dangerous goods, which was supervised by former director of Department of state policy in maritime and river transport V.V. 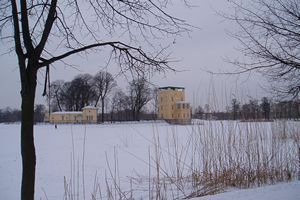 Kluev. The above reporter also told about attempts of organizations, subordinated to his Department, to push fuel in flexi-tanks for maritime shipping, despite international and national operating procedures. Such maritime shipping could represent danger for environment and safety of navigation. Certificates on flexi-tanks were issued by FAU “RMRS” on basis of testing carried out by “Maritime Cargo Bureau” LLC, though it is impossible to carry out such testing in accordance with Rules for transport of dangerous goods. The conference participants got surprised by the fact that manufacturer of soft containers weighing 24 tones, designed for maritime shipping of fuel, was nominally the company which delivers chicken leg quarters. The conference participants reviewed documents which testify wrongdoings of separate public civil servants, which led to detention of Russian export freights and vessels. The conference brought attention to institutional regulatory acts, which intentionally created preconditions for illegal detention of vessels, occupied in transport dangerous goods and cargoes, arriving to port and departing from port, as well as preconditions for corruption. Upon results of the conference work, resolution and appeal to Directorship of Russian Federation has been prepared. 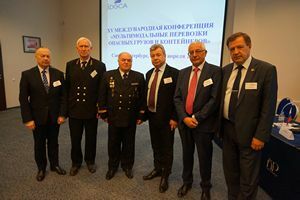 The conference organizers express their grand gratitude to all participants who arrived from numerous Russian cities, to IDGCA President, Vice-Admiral Moshkov G.Y., representatives of state authorities, Mr. Olivier Kervella, UN representative of TDG Sub-Committee of Experts and all whose, who openly expressed their position and contributed to development of honest, safe and economically efficient business in Russia related to transport of dangerous goods by all types of transport. During two days, in the conference work participated over 70 persons from different organizations, and all unanimously supported IDGCA activities, directed to honest business protection. Efficiency of the state’s economic development mostly depends from existing system of technical regulation. Application of demands of International Agreements, Conventions, Codes on the country’s territory should be covered by special Government’s attention. Realization of International agreements is as a rule delegated to competent authorities, appointed by Government. Competent authority on transport in Russian Federation is Ministry of transport of RF. Realization of demands of international agreements in one country territory calls the authorities to be both delicate and competent. In particular, application of International Maritime Code for Dangerous Goods in the territory of Russia turned out to be not easy proofing for Russian business. How to avoid possible shocks occurred with application of international rules in one state territory? How to create open, transparent and understandable system of technical regulation which would combine international and national laws? How to tie up freedom of enterprise with necessary safety norms? You can receive answers to these and other questions, important to business and authorities on the forthcoming international conference. Conference organizing committee invites to participate in this important event all those who is not indifferent to existing problems in the sphere of international and national technical regulation, who tends to make it perfect, in particular in the sphere of transport of dangerous goods. Conference Organizers consider that necessary condition for one state economic development is fair competition, technical and legal competence of business and authorities. We invite you to participate in our Event! The main type of “bunker” oil for ships is heavy fuel oil, derived as a residue from crude oil distillation. Crude oil contains sulphur which, following combustion in the engine, ends up in ship emissions. Sulphur oxides (SOx) are known to be harmful to human health, causing respiratory symptoms and lung disease. In the atmosphere, SOx can lead to acid rain, which can harm crops, forests and aquatic species, and contributes to the acidification of the oceans. Limiting SOx emissions from ships will improve air quality and protects the environment. What is the current regulation on SOx in ships emissions and by how much is that going to be improved? We are going to see a substantial cut: to 0.50% m/m (mass by mass) from 3.50% m/m. For ships operating outside designated emission control areas the current limit for sulphur content of ships’ fuel oil is 3.50% m/m. The new limit will be 0.50% m/m which will apply on and after 1 January 2020. On February 20, 2019 PortNews portal published an interview with the Director General of Marine Cargo Bureau Ltd., Alexander Sitov. IDGCA NP experts, as well as other readers, distinguishing the tare from the vessel, were puzzled by the presentation of the “New requirements for the tare and equipment for ensuring fire safety of transport operations with dangerous goods”.Indeed, the article by Alexander Sitov provides paradoxical conclusions, when the rules concerning the hull and equipment of sea vessels will apply to containers and packaging intended for the transport of dangerous goods by various modes of transport. “The introduction of the term and its corresponding requirements into the Rules will allow for the practical implementation of new means and methods for extinguishing fires in confined spaces at the stage of their occurrence,” said Alexander Sitov. What new means and methods of fire extinguishing in confined spaces is the author talking about? And what has that to do with the provision of fire safety of transport operations. Also, it seems, the author is not familiar with the classes and subclasses of dangerous goods. And the term "fire-safe/fireproof packaging" is a real nonsense.It makes no sense to comment on the whole the article, since it represents a set of terms, definitions and fantasies that are not related to each other. Obviously, the author somewhere picked up the idea of creating a transport unit with an autonomous fire extinguishing system, designed to transport dangerous goods. This idea was indeed articulated by IDGCA NP in the International Maritime Organization and the UN Sub-Committee of Experts 10 years ago. One can imagine what kind of document these great figures can prepare in IMO. It may be even more absurd than the one that was prepared last year. God forbid, if in a year or three, as the author says, new terms, similar to those announced by Mr. Sitov, will appear in the Rules. 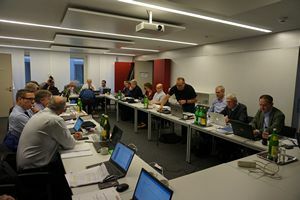 On January 24-25, 2019 a regular meeting of the informal working group on tank inspection and certification was held in Vienna, in the building of the Chamber of Commerce and Industry of Austria. The meeting was chaired by the representative of the British Ministry of Transport, Steve Gilingham. The meeting was attended by delegates from Germany, France, Poland, Finland, as well as representatives of the European Union and non-governmental organizations, including IDGCA NP. The meeting discussed the fundamental principles of changing chapter 6.2, chapter. 6.8 of RID, ADR in terms of administrative control, approval and inspection of tanks. The discussion also included the issue of mutual recognition of the results of approval and inspection carried out on behalf of the competent authorities of various states. A detailed consideration was given to changes in the text of chapter 6.2 and chapter 6.8, including paragraphs 1.8.6 and 1.8.7 of chapter 6.8. Attention was paid to the possibility of applying national standards in the manufacture of tanks. 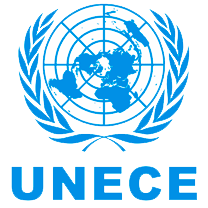 Following the meeting, proposals were prepared for the Joint Meeting of Experts of the RID Committee and the Working Group of Experts on the Transport of Dangerous Goods of the UNECE Sub-Committee, which will take place in Bern on March 18-22, 2019. More than three months, a batch of calcium carbide, intended for shipment to Sakhalin, was under the sanctions by the port authorities of Vladivostok and was not allowed to be loaded onto the vessel. The cargo belonged to the company TEK "Garant-Container" Ltd. The arguments and submitted transport documents, testifying to the compliance of the cargo with the requirements of IMDG Code and national regulatory requirements, were not accepted by the port authorities. The wording of the refusal to transportation was given in various interpretations and with reference to non-existent legal acts. However, all the arguments boiled down to the need to replace the certificate for the tare issued by CNIIMF JSC with the certificate issued by the RMRS FAI. The most “simple” solution that, after the appeal of TEK “Garant-Container” Ltd., was offered to the cargo owner was to reload the calcium carbide from the tare certified by CNIIMF JSC into the tare certified by the RMRS FAI. Advisors, who called themselves no more or less as a “competent authority”, did not even suspect that such reloading in the port was extremely dangerous and, in principle, impossible. In all likelihood, they did not take into account the fact that calcium carbide, UN № 1402, belongs to Hazard Division 4.3 - Substances that emit flammable gases when in contact with water; and as we know, moisture in the seaport is sufficiently high. 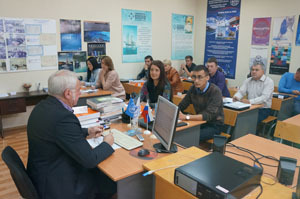 In January 2019, the port authorities of Vladivostok decided to arrange a “scathing rebuke” for the shipper and cargo owner: first they allowed loading onto the vessel without a certificate from RMRS FAI, then, when the vessel laid out, they started an unscheduled check and requested test reports for the tare for the above cargo. The absence of these test reports on the vessel caused a stoppage not only for the cargo, but also for the vessel, which, according to the information of the shipper, was had to return to the port and unload the container with the cargo. Today good news came from the Far East: the container with calcium carbide was loaded onto a ship and the ship went to Sakhalin. What was the reason for this decision is not yet clear. Perhaps numerous appeals of the cargo owner to all instances, taking of measures by the new leadership of the Ministry of Transport of the Russian Federation and the appeal of the State Duma Deputy to the Governor of Primorsky Krai, Oleg Nikolayevich Kozhemyako, had their effect. A great many believe that the “sanctions” against the Russian container owner were introduced on the initiative of V. Klyuev (former director of the Department of State Policy in the field of sea and river transport of the Ministry of Transport of the Russian Federation). According to the available information, he was the initiator of the “General rules for navigation and anchorage in the seaports of the Russian Federation and on the approaches to them” approved by Order of the Ministry of Transport of the Russian Federation № 463 dated October 26, 2017. The requirements on the mandatory availability of tare test reports on-board a vessel were imperceptibly introduced in paragraph 121 of the General rules. However, according to article 25 of the Merchant Shipping Code of the Russian Federation and Appendix № 3 “List of documents to be checked during inspection of vessel”, in contradistinction to what is stated in the “General rules for navigation and anchorage of ships in seaports of the Russian Federation and on approaches to them”, tare test reports are not mandatory documents onboard a vessel.The above requirements are not provided for by any national and international rules and are absolutely absurd from the point of view of safety and common sense. But if we consider the interests of affiliated companies, the absence of tare test reports or non-compliance of these reports to any pattern will allow them to stop vessels, conduct additional paid checks of vessels and cargo and send shippers to get “correct test reports”, for example, to Marine Cargo Bureau Ltd., which unexpectedly became an “exclusive testing laboratory”, which according to official statistics in 2018 employed only 2 people. Do we need new requirements to tremble Russian business, how to overcome unnecessary administrative barriers, how to make the transport of dangerous goods safe? All this will be discussed at the upcoming XV International Conference "Multimodal Transportation of Dangerous Goods" on April 4-5, 2019.
International conventions, codes and standards are national wealth for the states which have ratified international documents and created a transparent and effective mechanism for implementation of the provisions of these international rules. International institutions which develop conventions, agreements, standards, etc. (such as UN, IMO, ISO, etc. ), establish procedures that allow each state to have an adequate period of time to prepare national laws, to translate the texts on national languages, to carry out trainings and other necessary procedures to ensure a smooth transition of the economy and business to the new rules before their entry into force. As a rule, Governments assign the obligations for the implementation of international treaties to Administrations. If Administrations do not fulfill their obligations, entry of international agreements into force can lead to extremely negative consequences for business and authorities. Sometimes officials exercising their authority to implement the provisions of international conventions use their position as an instrument of unfair competition and thereby create obstacles to the development of the state’s economy. These and other issues will be widely discussed at the upcoming XV International Conference "Multimodal Transportation of Dangerous Goods", where business and government representatives are invited. Special attention will be paid to recent events related to the implementation of the provisions of the International Maritime Dangerous Goods Code (IMDGC) and the European Agreement concerning the International Carriage of Dangerous Goods by Road (ADR). Today in Moscow they pay last respects to State Secretary, Deputy Minister of Transport, Sergey Alekseyevich Aristov. The news of the premature death struck painfully on the hearts of all the people who knew him well in life and work. IDGCA NP heads, on their own behalf and on behalf of their Partners, sincerely extend condolences to relatives, friends and colleagues of Sergey Aristov.Sergey Alekseevich has always supported the activities of IDGCA NP and promoted the development of the association. In April 2014, at the initiative of Sergey Alekseevich, an agreement on cooperation between the Ministry of Transport of the Russian Federation and IDGCA NP was signed. The Management of IDGCA NP will always remember Sergey Alekseevich as a man of outstanding personality and highly professional leader. According to the information of the cargo shipper, “Garant-Container” Ltd., the container loaded with calcium carbide was detained in the port of Vladivostok. Calcium carbide is used in acetylene production. According to the shipper, lack of supply of acetylene on Sakhalin Island could lead to disruption of operation of life-support facilities on the island. The container has been staying in the port of Vladivostok since November 07, 2018, and is not accepted for transportation due to the ban orally set by the port authorities, who claim that the certificate for the container issued by “CNIIMF” JSC is invalid and refer to the letter of the Ministry of Transport of the Russian Federation № 05-03/19156-ИС dated November 21, 2016. No official instructions are being made, and for a “solution to the problem”, the shippers are sent to the RMRS. According to Garant-Container Ltd., the cargo has been prepared in full compliance with IMDG Code and has all necessary transport documents. A fair question arises: “What is the policy of the Department of State Policy in the field of river and maritime transport?” Is it really to create artificial barriers for Russian business and drive it into a trap? However, the meeting held in the Ministry of Transport of the Russian Federation in Moscow on December 21, 2018 on the initiative of “IDGCA” NP makes us believe that the law will triumph and that those involved in the “tare case” will be brought to justice. The government of the Russian Federation has postponed the introduction of requirements for carriers to provide certificates for tanks intended for the transport of dangerous goods to the traffic police. The corresponding resolution of the Cabinet of Ministers was published on the official web site of legal information: publication.pravo.gov.ru According to the document, the requirements established within the framework of the European Agreement concerning the International Carriage of Dangerous Goods by Road (ADR) with respect to certificates for tanks may not be applied until January 1, 2021. As previously reported, according to ADR, for the transport of dangerous goods you need to have a certificate of type approval for the tank. However, in Russia there is no government agency appointed to issue such certificates. As a temporary measure, the regional traffic police units issue or extend the validity of vehicle approval certificates for the transport of dangerous goods on the territory of Russia without requesting from the applicants certificates of type approval and testing or inspection of the tank. 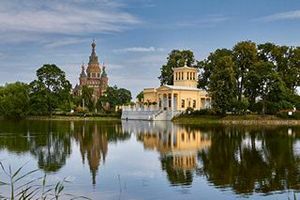 15th International Conference "Multimodal Transportation of Dangerous Goods and Containers"
On April 4-5, 2019, the 15th International Conference "Multimodal Transportation of Dangerous Goods and Containers" will be held at the New Peterhof Hotel in St. Petersburg. The slogan of the conference is “Indispensable conditions for economic development”. The organizer and moderator of the conference is International Staff Training Center (ISTC)..
Review of international regulations for the transport of dangerous goods and containers by all modes of transport (IMDGC, ADR, UN Model Regulations, etc.). Events of the year, reflecting the interaction of business and government. The distribution of powers between the supervisory and inspection authorities that regulate the transport of dangerous goods and containers by various modes of transport. National Classification Society, competent authorities, laws and reality. Are the rules of a classification society a legal document? Regulatory support for the transport of dangerous goods by sea, rail and road. Features of air transport of dangerous goods. Metal vessels and vessels made of composite materials intended for the transport of dangerous goods. Prospects of manufacturing of tanks made of composite materials. Oil and gas terminals - international practice, operation. 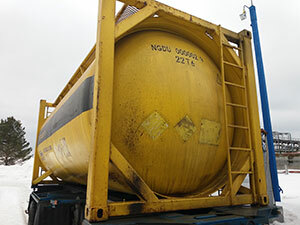 Transportation of cryogenic liquids in tank containers. Can an IMO circular be a national regulatory document? Certification, testing and maintenance of transport equipment for the transport of dangerous goods. The role of the State Duma and the Government of the Russian Federation in the development of competition. International economic integration in the field of transport. The role of advisers on the transport of dangerous goods. Competent authorities and their purpose. Meeting concerning certification of tare intended for the transport of dangerous goods is scheduled to be hold on December 21, 2018 in the Ministry of Transport of the Russian Federation, in Moscow. Based on the totality of events that occurred after spreading of letter № 05-03/19156-ИС dated November 21, 2016 signed by Klyuev V.V., it can be concluded that the suspension of CNIIMF JSC, DNIIMF JSC, Russian Register CJSC (IDGCA NP) from the work on certification was made consciously and in the interests of a certain group of persons. The purpose of the “defendants in the tare case” is completely understandable: all the clients are sent to one organization – “RMRS” – for receiving the paid services; and then, as a rule, to “Marine Cargo Bureau” Ltd. for testing. “IDGCA” NP, its partners and hundreds of organizations affected by letter № 05-03/19156-ИС dated November 21, 2016, expect the new leadership of the Ministry of Transport of the Russian Federation to take urgent measures to restore law and order, and to ensure conditions for fair competition. Perhaps the meeting on December 21, 2018 will mark the beginning of positive trends in the “tare case”. Changes and additions to the Rules for the transport of dangerous goods by rail, Emergency cards for dangerous goods transported by railways of the CIS, Georgia, Latvia, Republic of Lithuania, Republic of Estonia and the Rules for the transport of liquid goods in bulk in tank cars and hopper cars for transportation of petroleum bitumen were published on December 12, 2018 on the website of the Ministry of Transport of the Russian Federation. The Council on Rail Transport of the Commonwealth Member States provides information on the approval of amendments and additions to the Rules for the transport of dangerous goods by rail, Emergency cards for dangerous goods transported by railways of the CIS, Georgia, the Republic of Latvia, the Republic of Lithuania, the Republic of Estonia and the Rules for the transport of liquid goods in bulk in tank cars and hopper cars for transportation of petroleum bitumen in connection with their coming into force from January 1, 2019. You can find the new edition of the Rules on the website of the Ministry of Transport of the Russian Federation. VIII International Forum "The Arctic: Present and Future"
From 05 to 07 December 2018, the VIII International Forum "The Arctic: Present and Future" was held in St. Petersburg. 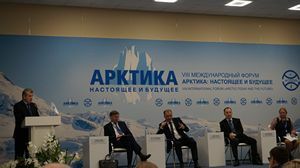 The forum covered large-scale projects related to the development of the Arctic shelf. Special attention was paid to safe navigation, coastal infrastructure and the transport of dangerous goods in the Arctic. A short meeting of “IDGCA” NP General Director, Ognev M.I., with Deputy Minister of Transport of the Russian Federation, Head of Rosmorrechflot, Tsvetkov Y.A., took place on the forum. As the result of this meeting, they reached an agreement on holding a session on a problematic issue related to the certification of tare for the transport of dangerous goods. This session will be held on December 21, 2018 in the Ministry of Transport of the Russian Federation. “IDGCA” NP expresses its gratitude to the moderators of the forum for the invitation to take part in this important and interesting event. 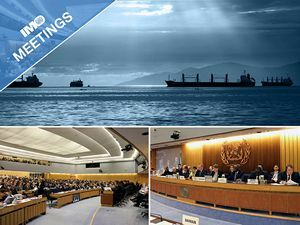 The Maritime Safety Committee (MSC) is meeting for its milestone 100th session, with a busy agenda encompassing maritime autonomous surface ships, fatigue guidance for seafarers, polar shipping, goal-based standards and other agenda items. The MSC will receive the report of a correspondence group which has been testing the proposed methodology for the regulatory scoping exercise on maritime autonomous surface ships, taking into account different levels of autonomy. Focusing on the human element, the MSC is expected to approve revised guidance on fatigue, a key tool for seafarers and ship operators. On polar shipping, the MSC is expected to establish a working group to further consider how to move forward with developing mandatory and/or recommendatory measures for ships operating in polar waters but not currently covered by the Polar Code.Matters related to the goal-based ship construction standards for bulkers and oil tankers are on the agenda, following the successful initial verification of 12 Recognized Organizations by IMO GBS audit teams. Amendments to update the International Code on the Enhanced Programme of Inspections during Surveys of Bulk Carriers and Oil Tankers are set to be adopted, alongside amendments to the Code of Safety for Special Purpose Ships (SPS Code). As previously reported, in the period from November 26 to December 4, 2018, the 54th session of the Sub-Committee of Experts on the Transport of Dangerous Goods will be held at the Palais des Nations (Geneva). One of the issues to be considered at this session is the development of the UN Model Regulations concerning the production, testing and operation of composite tanks, as well as other issues in accordance with the agenda. “IDGCA” NP experts will take part in the session. As a part of the ongoing work in ISO/TC 220 “Cryogenic Vessels” technical committee of the International Organization for Standardization, “IDGCA” NP experts started analyzing and evaluating the next draft international standard ISO/DIS 21014 “Cryogenic vessels – Cryogenic insulation performance”. This standard is devoted to the determination of the most important technical characteristics of the insulation of cryogenic vessels. The magnitudes of the loss of cryogenic products, as well as the limiting time during which cryogenic products may store in the vessel depend on these technical characteristics. The degree of the insulation performance of cryogenic vessels is a determining factor in the economic efficiency of equipment intended for the storage and transportation of cryogenic liquids, in particular, liquefied natural gas. Experts of “IDGCA” NP drew the attention of the members of TC 246 “Containers” Technical Committee to the quality of development of national standards prepared on the basis of international ISO standards relating to high-capacity containers, as well as to placing in the text of national standards information about commercial organizations providing paid services. “IDGCA” NP experts estimate such information as an advertising of the activities of organizations. At the same time, standards developed on the basis of ISO standards are significantly different from the text of the international standard itself and not for the better. A striking example of the above is GOST 52524 standard “Freight containers – Coding, identification and marking” developed on the basis of ISO 6346:1995 standard. The law on standardization does not allow deviations from the text of the international standard and certainly advertising organizations that provide paid services. “IDGCA” NP experts expressed their concern on the issue in the letter sent to the Technical Committee on November 14, 2018.The next meeting of TC 246 “Containers” will be held on November 22, 2018, and IDGCA experts may take part in this meeting. The popularity of the International Staff Training Center (ISTC) has widespreaded beyond the borders of the Russian Federation long ago. Among the participants are managers of oil and gas terminals, representatives of the transport sector. 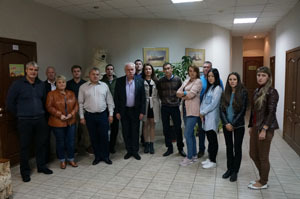 In the period from October 22 to October 26, another group formed of representatives from enterprises from different regions of Russia was trained in ISTC in the organization and implementation of loading and unloading activities in relation to dangerous goods. The group has successfully passed the exams, and its students are presented for certification in “IDGCA” NP to receive the titles of advisers on safe transportation of dangerous goods with the subsequent entry into the register of specialists. In the near future, the Association plans to raise the qualification requirements for candidates for the title of dangerous goods adviser, as well as to improve the procedure for their certification. The 11th International Forum “Transport Opportunities” was held on October 18-19, 2018 in St. Petersburg. The main topic of the forum was the state policy in the field of freight transportation and transport opportunities of Russia. The forum was attended by representatives of the State Duma, the Ministry of Transport of the Russian Federation, Rostransnadzor, projects managers, and business representatives. It was noted that one of the important tasks of the development of the Russian Federation is the development of competition in transport field. It was also noted that the Government of the Russian Federation pays special attention to import substitution. According to the head of projects for the development of export logistics of “REC” JSC, Kirillova A.G., the state provides assistance to exporters of domestic products in the form of compensation for transportation costs. The General Director of “IDGCA” NP, Ognev M.I., participated in the debate on Kirillova’s speech and noted that some officials of the Ministry of Transport not only do not support domestic business, but on the contrary, create conditions causing its suspension. 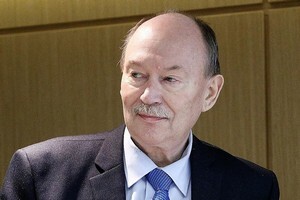 In particular, he gave an example when the former director of the Department of State Policy for Marine and River Transport of the Ministry of Transport of the Russian Federation, V. Klyuev, issued an order that could suspend the release of products for export by Russian enterprises without any reason. Despite numerous appeals by citizens and organizations with a request to suspend this order, the Administration of the Ministry of Transport of the Russian Federation did not take any actions. At the same time, complaints addressed to the Administration of the Ministry of Transport of the Russian Federation were answered by the head of the department who they complained on. The representative of the State Duma promised to take the situation under control and prepare an inquiry of deputy to the Ministry of Transport of the Russian Federation. Within the framework of the forum a meeting was held at industry working sessions and round tables. “IDGCA” NP experts took part in the session “Opportunities of Russian ports and optimization of cargo transportation by water transport”. The session discussed the issue of training and certification of supervisory authorities and training of specialists on dangerous goods in general. Attention was drawn to the absence of a procedure which could allow representatives of supervisory authorities to present at the opening of transport units without the risk of harming themselves and others. Director of "Association of pilot organizations" NP, Ryabokon V.A., drew attention to the work of the Department of State Policy for Marine and River Transport of the Ministry of Transport of the Russian Federation and considered it unsatisfactory in terms of preparing regulatory documents in the field of safe navigation and creating business-friendly conditions in seaports. “IDGCA” NP expresses gratitude to the hosts of the forum for the opportunity to express our position. On October 19, International Staff Training Center (ISTC) held a final exam in a group of students trained in the training program for specialists in the organization and implementation of loading and unloading activities in relation to dangerous goods. It was the 18th training group, which was trained in ISTC in 2018. The next classes will take place from October 22 to October 26, 2018. In the territory of Multipurpose sea transshipment facility of Bronka (MSTF "Bronka", Big port St. Petersburg) bunkering of vessels will be carried out by the liquefied natural gas (LNG). The memorandum of cooperation was concluded on October 3, 2018 within the VIII St. Petersburg international gas forum by the CEO of LLC Gazprom Gas Motor Fuel Mikhail Likhachev and the CEO of operator of Bronka (LLC Phoenix) port Nikolay Negodov. Within cooperation of the parties study of a possibility of sale of the liquefied natural gas (LNG) as bunker fuel for sea and river crafts at capacities of the multipurpose sea transshipment facility (MSTF) Bronka is planned. Also, according to the signed memorandum, LLC Gazprom Gas Motor Fuel will work a possibility of providing with natural gas of motor transport working at the territory of MSTF "Bronka". For system work on development of the market of gas motor fuel PJSC Gazprom in 2012 has created the specialized company — LLC Gazprom Gas Motor Fuel. 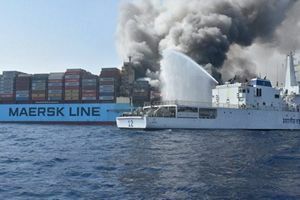 The fire which has taken place in March, 2018 after explosion in one of cargo holds on the vessel Maersk Honam which proceeded more than 5 days and was followed by long decay in the heated containers, ICG classified as "chemical fire". The question of admissibility of transportation of chemically dangerous goods in containers has been once again brought up. This fire was the cause for development of more severe conditions of loading and transportation of dangerous goods in containers in vessel holds. The rules developed by Maersk provide division of the deck of the container carrier into risk zones, dangerous goods must be placed in the zone with the minimum risk located in the center of the vessel. According to world practice and the procedure in IMO establishing the international standards of sea safety including to transportation of dangerous goods (IMDG Code), it is possible that Maersk acts as an initiator of new proposals within IMO. It should be noted that IMO – intergovernmental organization which works with addresses of member states. NP IDGCA continues active participation in development of the international standards within activity of Technical committee of the International Organization for Standardization of ISO/TC 220 - Cryogenic vessels (Cryogenic vessels). On October 3 to the Secretariat of the Russian committee - the member of ISO (the Secretariat of ROSISO) experts of Association have sent a positive review concerning the DRAFT AMENDMENT ISO 21013-4:2012/DAM 1 project (The draft of amendments to ISO 21013-4:2012). International ISO 21013-4:2012 of Cryogenic vessels — Pilot operated pressure relief devices — Part 4: Pressure-relief accessories for cryogenic service concerns a design, approval and operation of devices for dumping of pressure of cryogenic vessels. In the draft of amendments according to which vote is taken, in particular, restriction on the content of copper in constructional materials of the valves working in the environments containing acetylene up to 65% that is very important for ensuring explosion safety of the cryogenic equipment is specified. Remark of experts of NP IDGCA is placed in the electronic system of vote of ISO. 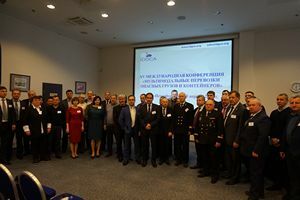 Cooperation of Association with Technical committee ISO/TC 220 - Cryogenic vessels is getting special relevance in connection with increasing of number and amount of the projects connected with transportation and processing of liquefied natural gas. Road freight of dangerous goods across the territory of Ukraine will be made under the requirements of the A, B annexes to the European Agreement concerning the International Carriage of Dangerous Goods by Road (ADR). In Ukraine new Rules of transportation of dangerous goods by the motor transport are approved by the Order of August 4, 2018 No. 656, the same order has approved the Order of delivery and execution of certificates on the admission of vehicles to transportation of certain dangerous goods. On September 21 the International Staff Training Center had issued the next study group of experts in the sphere of the processing of loading and unloading of dangerous goods. As a part of group representatives of the large enterprises of spheres of transport, oil and gas production and also production of a container for dangerous goods were trained. Students have successfully passed the final examinations and were presented to certification as advisers for transportation of dangerous goods in the International Dangerous Goods Association and Containers (IDGCA). Representatives from companies of a different business brunches are studying at courses in ISTC, however the correct submission of learning materials creates the atmosphere of full mutual understanding. 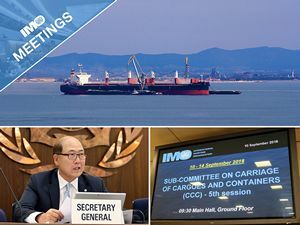 The classification of certain potentially hazardous cargoes was on the agenda of the IMO’s Sub-Committee on Carriage of Cargoes and Containers (CCC 5, 10-14 September). The Sub-Committee considered a newly identified phenomenon which affects some bauxite cargoes, known as dynamic separation, which can cause instability of the cargo and ship. Also up for discussion is carriage of ammonium-nitrate based fertilizer. Potential problems have been identified following accidents involving the MV Purple Beach (2015) and MV Cheshire (2017). The recommendations arising from the investigation into the MV Cheshire have been presented to the Sub-Committee. Proposals to amend the relevant schedules have been considered, for future inclusion in the International Maritime Solid Bulk Cargoes (IMSBC) Code, which is the industry rulebook on how to deal with such cargoes. Also under development was draft interim guidelines on the application of high manganese austenitic steel for use in cryogenic applications such as cargo tanks, fuel tanks and piping of LNG carriers and LNG-fuelled ships. One of documents which was considered at a session and have caused long discussions, there was a document CCC 5/6/11 of the Russian Federation Practical application of the provisions of section 7.9.2 of the IMDG Code in terms of the recognition of certificates and other relevant documents for the packaging of dangerous goods,". Most of participants of a session has rejected this proposal, having referred to the fact that the IMO tools used within the adopted Code are in many respects based on trust of the participants countries who have joined the Convention SOLAS and to the IMDG Code consequently. The opinion of subcommittee of IMO regarding to this proposal is stated in the Report of the 5th session of subcommittee of CCC 5/WP.1. On September 14 the international body on certification DNV GL has booked audit of a quality management system of the International Center of Training of Personnel (ISTC). Audit has shown compliance of a quality management system of ISTC to requirements of the ISO 9001-2015 International standard and its positive influence on structure and contents of the developed and realized training programs of professional development. We note that last time the number of enquires to ISTC from different organizations shows the increasing interest to professional development of own employees. 40 member states of Council of IMO, observers from among other states, intergovernmental and non-governmental organizations have taken part in work of a session. According to the press service of Rosmorrechflot, as a part of delegation of the Russian Federation the deputy head of Federal Agency for Sea and Inland Water Transport Yury Kostin, the permanent representative of the Russian Federation at IMO Yury Melenas, the head of Federal State Budgetary Organization Baltic Sea Administration Pyotr Parinov have taken part in work of a session. Russian Federation have submitted offers on decrease in administrative load on crews of vessel, shipping companies, operating administrations connected with the growing number of conventional certificates and documents which are required to be had onboard. In this regard Council has urged all interested parties to direct to working bodies of IMO specific proposals of practical character in this regard. The United Nations secretariat added the preliminary agenda of the 53rd session of Committee of Experts on the Transport of DangerousGoods which will take place in Geneva during the period from June 25 to July 04,2018,the working documents relating to each point (subparagraph) of the agenda. Other changes in the agenda didn't happen. Within the first point "Adoption of the Agenda" reports on the previous sessions of Committee, including the report on the 52nd session where the subparagraph in the section VIII "Portable tanks" discussed offers from the Russian Federation about Fibre-reinforced plastics portable tanks (document ST/SG/AC.10/C.3/2017/40) will be heard. All working documents of the 53rd session are available on www.unece.org/trans/main/dgdb/dgsubc3/c32018.html (only on English and French languages). Railroad workers have two "shrines" which are strictly demanding to execute. They are safety and the schedule, all the rest, as they say, is secondary. It is not necessary to tell once again what unpleasant consequences can be caused by non-compliance with safety measures , especially if the transported freight belongs to the category of Dangerous Goods. The General Director of the International association on dangerous goods and containers Mikhail Ognev, giving an interview to Rossiyskaya Gazeta 6/6/2018, had noted that the safety on transit of dangerous goods is provided first of all with sufficient level of personnel training , implementation of the internal and external technical regulations and procedures established on the concrete production area and with technical conditions of the equipment and vehicles. The main document regulating transportation of dangerous goods is the Appendix 2 to the Agreement on the international railway freight traffic (SMGS) which is harmonized with the United Nations Recommendations on the Transport of Dangerous Goods. However, Mikhail Ognev has added, there is a problem in interpretation of certain provisions only from the point of view of the departmental interests, but not the interests of safety. GCE 16th Forum on Industrial Safety 5 - 8 June 2018 in Saint-Petersburg GCE Group invites to take part in 16 International Forum on Industrial Safety which will take place in Saint-Petersburg in the white nights season – from 5 to 8 June, 2018. 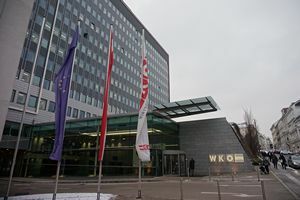 Forum venue: Hiltom Saint-Petersburg Expoforum (64, Peterburgskoye Highway)The Forum is hosted annually by GCE Group and aims at development of international cooperation and sharing experience on emergencies prevention. The Forum is supported by the UN, government of the Russian Federation, CIS Executive Committee, the Russian Ministry of Environment and Natural Resources, IAEA, the Russian Academy of Sciences and other institutions.For the past several years the Forum was attended by representatives from 37 countries. On the way to the ideal industrial safety system. International experience. Best practices to ensure emergency-free production process. News of the industrial and occupational safety legislation. Trends and innovations in ecology. Presentation of modern mobile robotic devices and simulators. Main causes of man-made accidents and lessons learnt. Interactive team-building trainings. The damaging build-up of plastic litter in the oceans is increasingly recognised as a major threat to the global environment. Harrowing images of marine wildlife being trapped by plastic litter, or even ingesting it, are becoming tragically familiar. IMO's long track record of engagement in the fight against this insidious form of pollution was reinforced last year, when its governing Assembly of Member States placed the issue of marine plastic litter from shipping on the agenda of its leading environmental technical body, the Marine Environment Protection Committee. IMO Member Governments have been invited to submit concrete proposals about developing an action plan on the subject to the Committee's next meeting, in October. On 29-31 May IMO had participated in the Ad Hoc Open Ended Expert Group on Marine Litter and Microplastics at the UN Environment headquarters in Nairobi. This group was established by the United Nations Environment Assembly to further examine the barriers to, and options for, combating marine plastic litter and microplastics from all sources, especially land-based sources. Discharging plastics and other forms of litter into the sea from ships has actually been banned by an IMO regulation, legally binding on all ships, for some 30 years. The so-called MARPOL Annex V entered into force internationally in 1988 and, today, more than 150 countries have signed up to it. In addition, countries party to another IMO instrument prohibiting dumping at sea (the London Convention/Protocol) earlier this year raised concerns regarding the disposal of fibreglass reinforced plastic vessels at sea. Evgeny Dietrich was born in 1973. In 1996 graduated the Moscow state engineering and physical institute (nowadays — MIFI), in 1999 — the Higher school of privatization and business in Moscow. From 1995 to 2004 worked in the State committee of the Russian Federation on property administration (in 1997 the committee is transformed to the Ministry of the property relations, nowadays — Rosimushchestvo). Held posts of the adviser, head of department, deputy head of department, the Head of Department in department. In 2004 was the deputy director of department of the property and land relations and economies of environmental management of the Ministry of Economic Development and Trade of the Russian Federation. Since December 31 the 2004th till January of the 2012th of years — the deputy head of Federal Highway Agency (Oleg Belozerov and Anatoly Chabunin were heads of Rosavtodor during this period consistently). Further worked in the Russian Government Office, was the deputy director of government Department of the industry and infrastructure. It came to work to Ministry of Transport as the fall of 2015 already as a potential relief of the minister Maxim Sokolov. – Evgeny Ivanovich, we congratulate you on appointment to the post of the Minister of Transport of the Russian Federation. Thank you that the first interview in a new position was agreed to give to our newspaper. First question: with what feelings do you enter a position? What thoughts come to the forefront? – Transport branch – strategically important for the country, and, certainly, I feel heavy responsibility for work of a transport complex of Russia. Tasks which I should solve and team of the ministry, demand huge devotion, laborious system work, many competences, aiming at concrete result, readiness for changes, dialogue and constant aspiration forward. The main thing that our team is already able to do well it that was proved more than once at implementation of large-scale infrastructure projects and preparation of the normative documents, major for branch. – Whether you for yourself defined priorities in work, problems of the first order? – These tasks precisely are also specifically formulated in the annual President's letter of Russia to Federal Assembly and in the May decree. We have to remember every day that people estimate work of transport workers first of all on quality of passenger traffic. It is the most important criterion of comfort and safety of life of the population of our country. We need to learn to hear people, to be attentive to their opinion, remarks, offers. For them we also work. Not people exist for transport, and transport for people. It has to become for us, transport workers, the main initial principle. And public policy in the field of transport is aimed at it today. The ministry has to go in its waterway, understand clearly what we want to achieve as a result. It is necessary to create conditions for comfortable work of business, to reduce transport costs in economy. So far they are rather high, and it is necessary that they approached an indicator of 4-5%, as in developed countries. It is necessary to increase availability of transport services to the population. I think that the future – behind the combined transportations. It is clear, that is impossible and it is not necessary to build Airports in each remote village, but people have to have an opportunity by bus to reach to the city center, there to change on the train or the plane and to reach thus the destination. And to make it with comfort and for reasonable time. The major moment is safety on transport, both technological, and transport, protection against illegal intervention in work of transport. And, of course, development of export of transport services and transit potential of ours of the countries. We have to give the chance to our freights to go abroad. And costs for this procedure both for business, and for the passengers following abroad have to be lowered. For this purpose today a number of projects on optimization of work of customs officers, frontier guards at check points are implemented. Development of transport has to be based on innovative technological platforms: use of pilotless technologies, automation and "digitalization of logistics", development of the state automated information system "ERA-GLONASS", introduction of alternative types of fuel, new materials. It will allow to accelerate delivery periods of freights, to reduce cargo weight in way, to increase mobility of citizens and quality of their service. Decrease in transport costs, increase in labor productivity and quality of life of citizens will be result. In this direction active work is conducted. – Could you briefly formulate the main principles of work of the head of branch? – I think, for the modern head of any branch the main thing – to try to keep up to date, and sometimes even to be ahead of him. It is especially relevant for transport. Look how technologies promptly change, speeds grow. The fact that it seems to front lines today is hopelessly outdated tomorrow. It is necessary to manage to react quickly to change of a situation and to accurately formulate tasks. It is very important to create management team of supporter professionals, to trust it, to rely on it in the work. Of course, first of all I rely on huge group of the Russian transport workers. For years of work in branch managed to get acquainted with many colleagues and I know as far as it is reliable and responsible experts. It is precisely possible to rely on them. – Today it is much told about need of optimization of work of government institutions, increase in its efficiency. How to achieve it? – The Development of the Transport System state program in which the principle of transition from program to project management is underlain is aimed at it. Planning has to be focused on a concrete resulting effect. It is very important that strategic development plans for a transport complex were accurately coordinated to strategies of development for territorial subjects of the Russian Federation. The efficiency of use of resources has to be maximum, that is return from work of branch has to be expressed in growth rates of economy and satisfaction of the population with quality of the provided services. It is possible to achieve it only in coordination with the strategy of social and economic development of subjects when regions accurately define priority of input of these or those objects. – Of course, I promise it to you! Global harmonization of transport of dangerous goods regulations with the Model Regulations. Cooperation with the International Atomic Energy Agency. Guiding principles for the Model Regulations. 10-14 September - 5th session The Sub-Committee on Carriage of Cargoes and Containers (CCC) deals with the carriage of packaged dangerous goods, solid bulk cargoes, bulk gas cargoes, and containers. The Sub-Committee keeps updated the International Maritime Solid Bulk Cargoes Code (IMSBC Code) and the International Maritime Dangerous Goods (IMDG) Code. It also keeps under review other Codes including the International Code of Safety for Ships using Gases or other Low-flashpoint Fuels (IGF Code) and the International Code for the Construction and Equipment of Ships Carrying Liquefied Gases in Bulk (IGC Code). According to the Order of Federal agency of railway transport of April 19, 2018 No. 137 "About the temporary interruption of loading and transportation of goods in certain railway directions owing to developed at the Applicant or when using infrastructure of the circumstances interfering implementation of transportations" temporarily loading and transportation of goods and cargo baggage in certain railway directions stops. So, from May 25, 2018 to July 25, 2018 in some regions at railway stations loading of freights in which sources of ionizing radiation, dangerous chemical and biological substances, radioactive, toxic, explosive and toxic agents are used is forbidden. It is about Moscow, St. Petersburg, the Kaliningrad, Volgograd, Nizhny Novgorod, Samara, Rostov, Sverdlovsk regions, the Republics of Tatarstan and Mordovia, Krasnodar Krai. It is also forbidden to send such freights to consignees of the specified territorial subjects of the Russian Federation. It concerns including transportations according to the applications submitted before May 25, 2018 if the estimated delivery period of freight falls on the specified period. The established bans don't extend to consignors and consignees who have permission of interdepartmental operational staff on safety during World Cup 2018. The declaration of the transport of dangerous goods is an important element of improving the safety in the handling and transport of all types of transport. As a rule, transport companies involve in the development of declarations organizations that have high competence and great practice in assessing the safety in the transport of dangerous goods. Moreover, companies involved in the development and approval of declarations (DOG) are trusted by the port authorities, which ultimately contributes to the quality and timely dispatch of goods. CJSC «Russian Register», as a subsidiary of NP «ASPAG», has been developing and approving declarations since 2004, after the Ministry of Transport of the Russian Federation. Federation recognized it as competent, along with such companies as АО ЦНИИМФ, АО ДНИИМФ, ФАО «РМРС». CJSC «Russian Register» also provides a wide range of survey services in Russian and foreign ports. 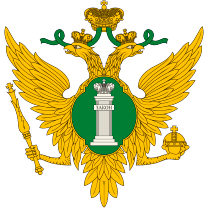 The inspector's independent survey company "Russian Register" J.S.C. examined 20 tank containers intended for the carriage of methanol, and controlled the loading of product in the tanks. This practice of inviting independent surveyors before sending dangerous goods is used by carriers and shippers to improve the safety and quality of delivery of dangerous goods to the destination. "Russian Register" J.S.C., being a 100% subsidiary of NP "IDCGA" has more than 15 years of experience in providing such services. Inspectors carrying out such work receive special training and certification. International Staff Training Center (ISTC) has started training experts on pressure receptacles intended for the transport of dangerous goods, including experts in assessing the compliance of road tankers with ADR requirements. The training takes 80 hours. When passing training and attestation to the candidate for the title of expert, serious requirements are imposed on basic education, additional education and work experience. The first specialists trained in this course are employees of Independent Survey Company «Russian Register» J.S.C. and NBE Co. Ltd «National Bureau of Expertise». Preparation for the XIV International Conference "Multimodal Transport of Dangerous Goods"
"Coordination and Information Center for Assistance to Enterprises on Chemicals Safety Issues" Non-Commercial Partnership" Association ("NC CAIC CIS" Association), "All-Russian Research Center for Transport Technologies" Ltd., "Gazprom Neft Shelf" Ltd., "Gazprom PHG" Ltd. (Kaliningrad GHPG), "Kaliningrad Commercial Sea Port" OJSC, "Containerships SPb" CJSC, "Modul" Ltd., "Sea Trade Port of Ust-Luga" JSC, "National Bureau of Expertise" Ltd., "NUTEP" Ltd., "Nizhnekamskneftekhim" PJSC, "Promperforator" Ltd., "Russian Register" JSC, "Saint Peter’s Terminal" Ltd. , "TIS" Ltd., "Neftekhimtrans" Transport company" Ltd., "FESCO Integrated Transport" Ltd., "Chempack" TC" CJSC, "Yamal Railway Company" JSC, "Kominsur Insurance Broker" Ltd. etc. The forum is expected to discuss acute topics that affect the interests of the entire transport business. The solemn awarding of the quality management certificate to the Director of the International Staff Training Center (ISTC) -Tsikhiseli Vladimir Gerontievich, took place on January 17, 2018 at the office of the International Dangerous Goods and Containers Association. 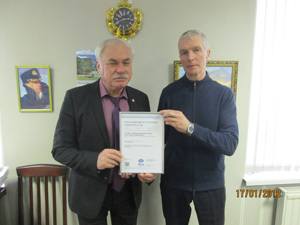 The certificate was given by a representative of the well-known International Certification Body DNV GL - Igor Umansky. ISTC is the leading educational center in the field of training specialists involved in the transportation and handling of dangerous goods and the development of offshore oil and gas fields. The introduction of a quality management system in the educational process and the availability of a quality management certificate issued by a well-known classification society will expand the range of educational services and provide them with a new quality. The Customs Code, which was long awaited both by the participants in the foreign economic activity, and by the customs officials came into force since January 1, 2018. This is one of the few documents of the Eurasian Economic Union, in the development of which the business community actively participated. A lot of the constructive proposals of the business to improve certain norms that were regularly encountered in practice were taken into account. The document contains new approaches to informatization of customs operations, introduces a more convenient algorithm for business interaction with government agencies. improvement of the institution of the authorized economic operator (AEO). The status of an authorized economic operator will now be available to all participants in the supply chain - carriers, warehouse owners, customs representatives and participants in foreign economic activity, whereas previously only importers and exporters could claim it. the amount of security for payment of payments for customs representatives is within the competence of the Council of the Eurasian Economic Commission - it is a body at the level of Deputy Prime Ministers of the Parties. Earlier there was provision of 1 million euros. the declaration will be carried out only in electronic form (the only exception is the impossibility of using the electronic form in connection with technical problems in the customs authority). the new Customs Code cancels the need to provide a package of documents on the basis of which a declaration is drawn up. That is, the customs body is only submitted a declaration for goods in electronic form, in turn, the customs authority has all the power to require the submission of additional documents within the risk management system during the verification of the declaration, as well as in the control after the release of goods. - about the price in accordance with commercial documents. an emphasis on modern information technologies, a move towards expanding the capacity for individual customs operations without the participation of customs officials. the terms of registration of the declaration have been reduced from 2 hours to 1 hour, and its release from one working day to 4 hours. - providing security for payment of payments. changes have been made to the procedure for declaring goods in an unassembled or disassembled form, supplied by individual commodity lots (the so-called "components"). The key difference between the new procedure for declaring "components" is their declaration by filing a declaration for each goods lot. The final declaration for the entire "complete facility" as it was previously not provided. Provisional agenda for the thirty-second session, to be held at the Palais des Nations, Geneva, from Monday 22 January 2018, 10.00 a.m. to Friday 26 January 2018, 12.30 p.m. Elections of officers for 2018. Matters arising from the work of United Nations bodies or other organizations. e) Matters related to classification societies. c) Checking of amendments adopted at previous sessions. Reports of informal working groups. Programme of work and calendar of meetings.